New serious of brilliant Cosmic Pluck's sounds. 40+2 amazing plucks and leads for NI Massive synthesizer. From super top sounds of 90' (DJ Sash - Encore Un Fois, ATB - Ecstazy) to the modern vibes. Here you can find you fabouirite sound, and find something unique in every sound of the library! 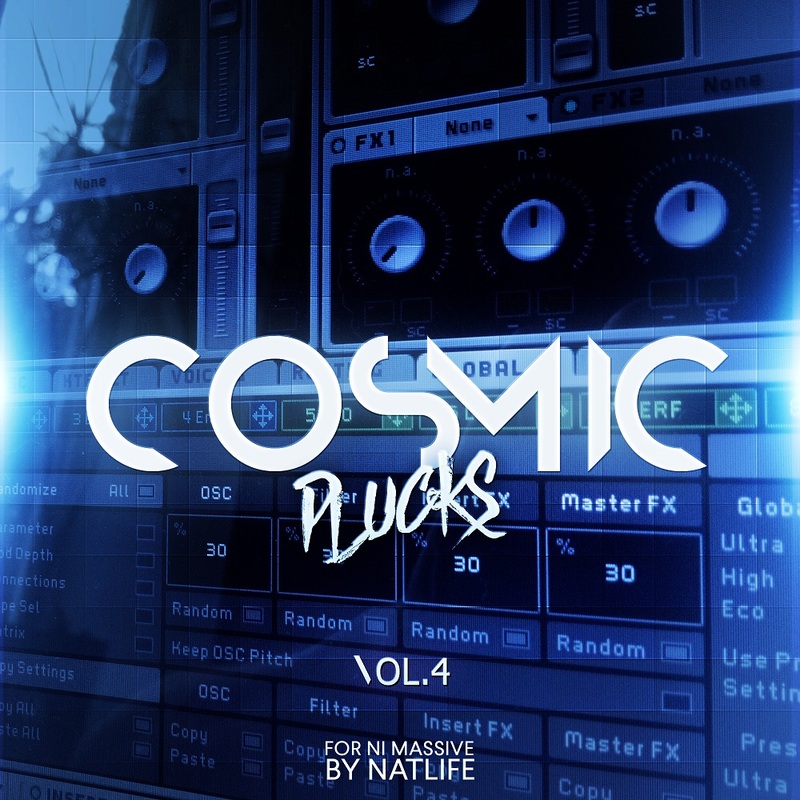 As tradition - this soundset was made by NatLife, who know how trance pluck and lead must sounds.